Most of us understand that a financial asset is inherited by the spouse, children or other family members in our absence but the law doesn’t recognize things this way. It needs valid papers in the form of nominations and a will, a formal legal statement declaring the distribution of assets. Last week, there was a call from my friend regarding one PPF claim. His friend’s father has expired in an accident. His father was used to deposit money in PPF account. Unfortunately while inquiring they found out that nomination in his father’s PPF account was missing, they have no option but to complete all legal formalities to claim this money. Money deposited in his father’s account was more than 2 lakh. In case of PPF as per rule if nomination is not made than legal heirs will get maximum of Rs1 lakh only. Missing nomination in this case will cost them more than 1 lakh. We come across many incidents like this where people do not understand importance of nomination, they invest money but they forgot do nomination. To avoid situation mention above we should complete nomination formality in all financial products which we purchase. Nomination is the process of appointing a person to take care of your assets in the event of your death. You can appoint a nominee for your bank account, fixed deposit, demat account, or even your house. 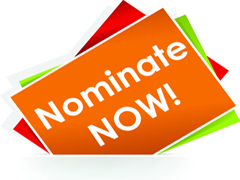 A nominee could be a family member or a friend or any other person whom you trust. However, since it involves financial matters, you need to chose a nominee with care as the person needs to be reliable enough to take care of your assets in the event of your death. Though a nominee is an important person, he or she has no rights over the money or assets unless that is specified under the will or the nominee happens to inherit the money. So as such a nominee is a mere custodian of the assets. He is a contact point for the investments. So in the event of a person’s death, a bank could get in touch with the nominee for further instructions to act on the account. At the time of claiming the savings, the nominee will have to give a proof of his identity to the relevant authority. For example, if a man during his lifetime makes a will. In the will, he mentions his wife and children as legal heirs, then after his death, his wife and children are the legal owners of his assets. It is essential that one needs to execute a will. It is the ultimate source of truth and replaces the succession law. Nominee can also be one of the legal heirs. Do Mention the Full Name, Address, age, relationship to yourself of the nominee. Do not write the nomination in favour of “wife” and “children” as a class. Give their specific names and particulars existing at that moment. If the nominee is a minor, appoint a person who is a major as an appointee giving his full name, age, address and relationship to the nominee. The policy holder can nominate a person as nominee while he is alive to receive the claim amount in case of his death. The insurance company will settle the amount to the nominee. In case, there is a Will, then the nominee has to settle the amount, as per the Will. If there is no Will, the amount has to be distributed to the legal heirs as per the succession law. You can change the nomination any number of times during the term of the policy. If you are nominating a minor, don’t forget to appoint an appointee, who can receive the claim amount during the minority of the nominee. The role of nominee is different in the case of shares. In this case, the nominee will get the right of the shares, in case of death of the party even though he is not the legal heir. So be careful, while making nomination in demat account. Ensure that you are nominating the right person, who will protect your interest after your death. As per the Companies Act, nomination supersedes Will. So, the nominee in your share investment will become the absolute owner, after your death. You can make nomination while investing in mutual funds by writing the relevant details in the application form itself. Later, you have the provision to change the nominee, by submitting the relevant form for that. A minor can be a nominee provided a guardian is specified. Please note that the nomination is Folio specific and if you make any further investments in the same folio, the old nomination is applicable to the new units also. You can nominate one or more persons as nominee in PPF. Form F can be used to change or cancel a nomination for PPF. Also note that you cannot nominate anyone if you open an account for a minor. In case you have lakhs of rupees in PPF account you must check for nomination. As per PPF rules legal heirs will get maximum of Rs1 lakh only in case of PPF account without Nomination. So if you have not done nomination in PPF get it done now. While opening a new account, there is a column for nomination in the same form and you should fill it. Note that in case you have not done any nomination till now, you should request your bank branch and nominate a nominee. To avoid financial loss and tussle at later stage it is better to nominate the right person in each of your insurance/investments, except for Share investments. If you have not nominated anyone as nominee I request you to complete nomination formalities in all financial products you own. How to update change EPF Nomination online with UAN? How to take PPF Loan against account balance? « Should you buy or live on rent?